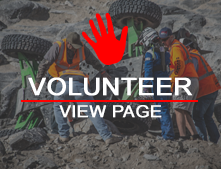 We are a family Ultra4 team based out of Hagerman, Idaho. We will be competing in the Ultra4 Legends/4800 class for our 5th season in 2019. We have strong roots in recreation off roading and rock crawling. Our whole family goes off-roading together, which consist of 5 jeeps in our 3 generations of family with another coming up. We have been off-roading for about 14 years now. Our Ultra4 legends class buggy was completed 2 weeks before the 2014 Ultra4 Nationals race. Brothers Kyle and Jade drive and co-drive while our dad and family friends provide pit support.